I started thinking about this recently when I asked myself the question: what do I love about this area that I now call home? In other words, I was trying to find new ways to be positive and look for the good in my new location. I have been living here for almost two years but sometimes I still miss “home”. Even though I chose to move here for the right reasons, and I’m not that far away from where I came, I still struggle with these thoughts off and on. So, instead of dwelling in the past, I decided to appreciate the present. To find the good and appreciate what I have, here and now and to build a connection to this new place. 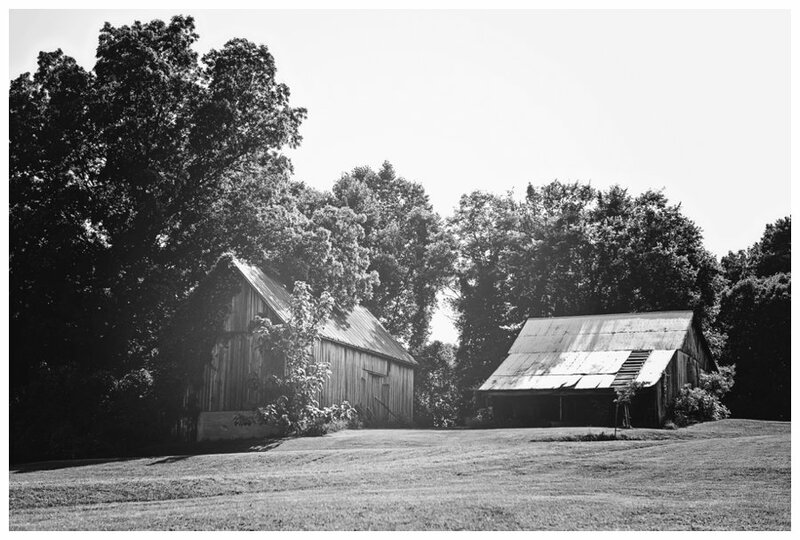 One of the coolest, and most unique things about Calvert County (and Southern Maryland) are all the barns that stem from it’s rural history. 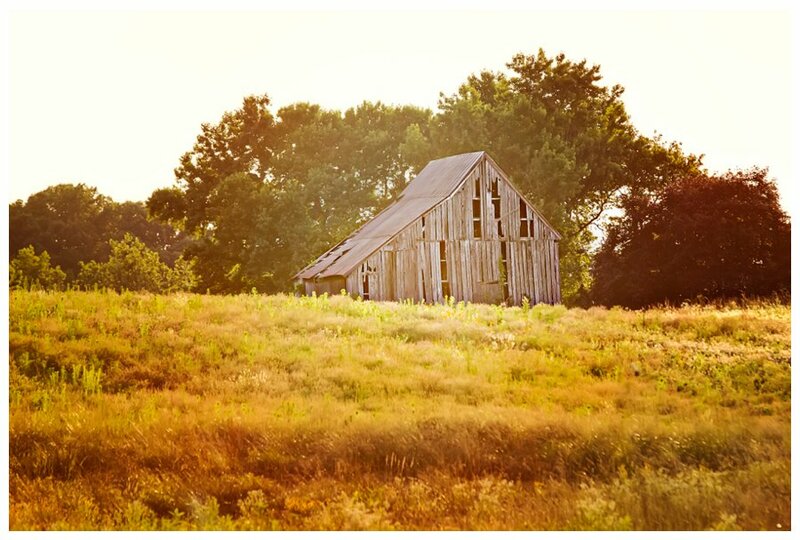 I love the country roads and all the farms or pieces of what are left over, from old farms. I had a lot of that on the Eastern Shore, as well, but there were never this many barns and they’re different. 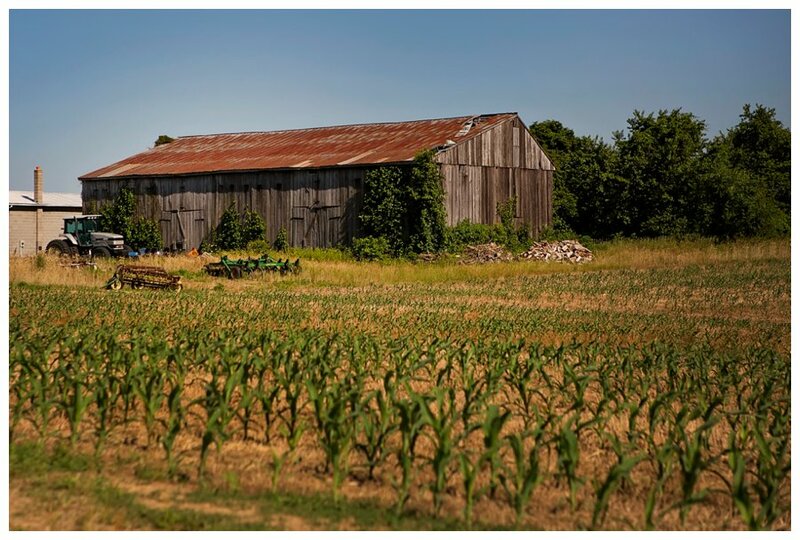 Since a lot of the ones found here are tobacco barns, there are just SO many more, because they needed more of them to dry the tobacco in. I’m also tying this project in with my background in geography and environmental/land use planning interests. I see the urban sprawl and trees and fields being chopped down, daily, so this landscape is changing rapidly. By taking these photos, I want to be a part of documenting how looks now. I have a feeling it will change quite a bit in my lifetime. 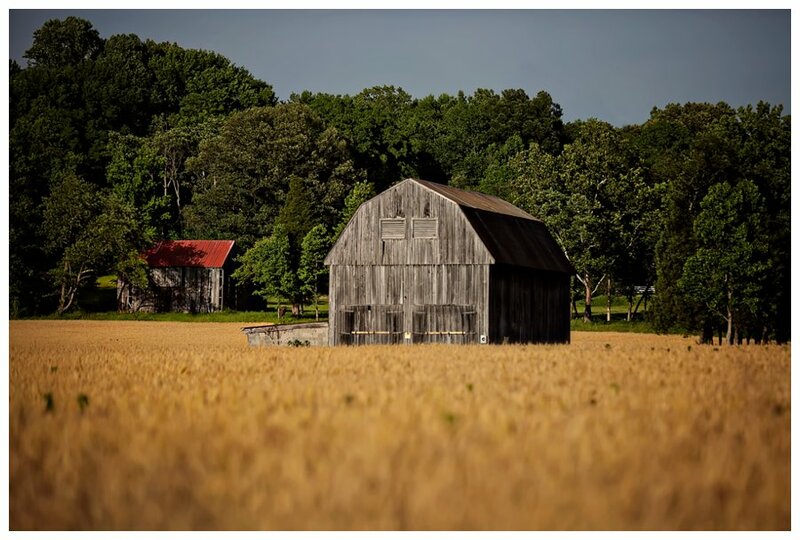 photograph a different barn each day from July 1, 2015 – June 30, 2016.
if I am out of town or something prevents me from shooting, I will shoot multiple barns for each day that I am gone, as close to the dates missed as possible. Ahh, what a great way to start June – the last official month of my project, it’s a little bittersweet. For today’s shot everything aligned perfectly and they welcomed me to stop by and take photos, on this beautiful morning. I’ve heard of this organization a few times before and I knew that I wanted to get some shots with as many of the horses that I could. The barn is also beautiful and this one does not really show my favorite features of it but I could not resist shooting the full scene, looking down the hill. What a beautiful place for them to call home. From their website: Freedom Hill Horse Rescue is a public non-profit 501(c)(3) organization committed to saving neglected, abused and unwanted horses that are typically difficult to adopt. These horses are often older, sustained injuries, or developed chronic disease. Because most cannot be ridden or medical treatment is beyond the reach of many people, these gentle souls often find themselves at auction or on a trailer to the slaughterhouse. It doesn’t have to be this way. Older, injured, and well-managed horses still have a lot of love to give and deserve to live a life with dignity and compassion. These horses, after rehabilitation and healing, often become amazing healers themselves to the people they encounter. 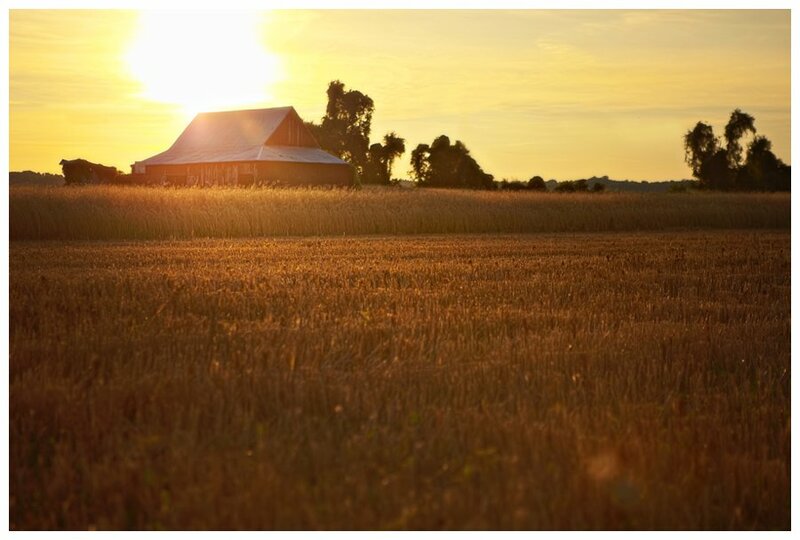 A pair of barns during the golden hour, June is off to a good start. It only took me 340 days to get this set of barns but we did it! Driving assistance from my husband and a quick stop on the highway, right when the cows were lining up. I’m glad they were out! 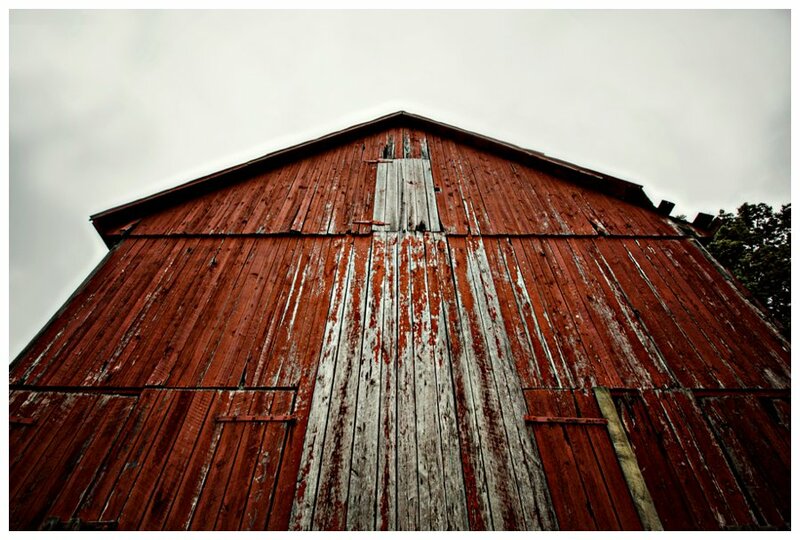 About as close up as I can ever get, so I took advantage of the wide angle lens, for this red tobacco barn. Wow, the pressure is on – I’m hoping to end this project with some of my best shots yet and I feel up to the challenge! I’ve seen a lot of pretty scenes and I have dozens of favorites but there is something about this one that made me stop and just admire it, it reminds me of a painting. I am glad I did not wait for the stormy skies that never came to go out and shoot – this afternoon was perfect, it was meant to be! I found about five new barns today but this was the best setup and most unique, with the old Safeway trailer, silo and purple flowers. 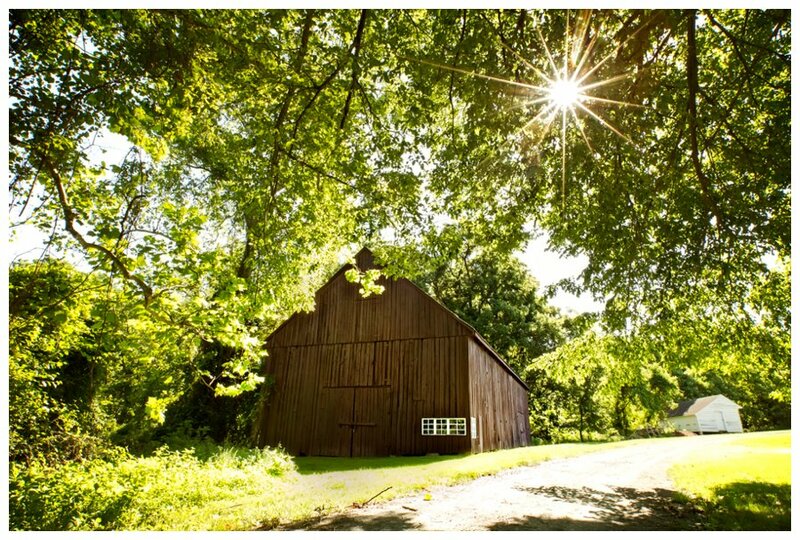 I’ve photographed this 19th century tobacco barn a few times during photo shoots but never on a summer morning, when the light trickles through the leaves. I knew exactly what time it does this because I shot it yesterday, as well. In the last weeks of my project I’ve attempted to cover some areas that I don’t typically travel. The options close to home are getting pretty slim and I am trying to make my shots a little more diverse. I was happy to easily discover this one, along with the sun. 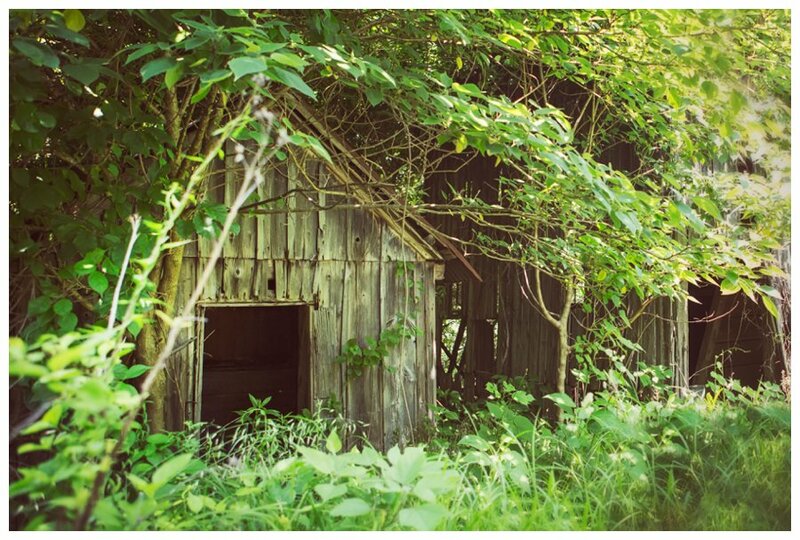 There are two structures here, the large barn on the right is mostly covered with weeds now. This location is in the middle of downtown Prince Frederick and was once part of an “urban” farm. That sunlight hitting the wheat in the wind… the whole field glistened, how could I not have Sting’s “Fields of Gold” playing in my head?!? So pretty. 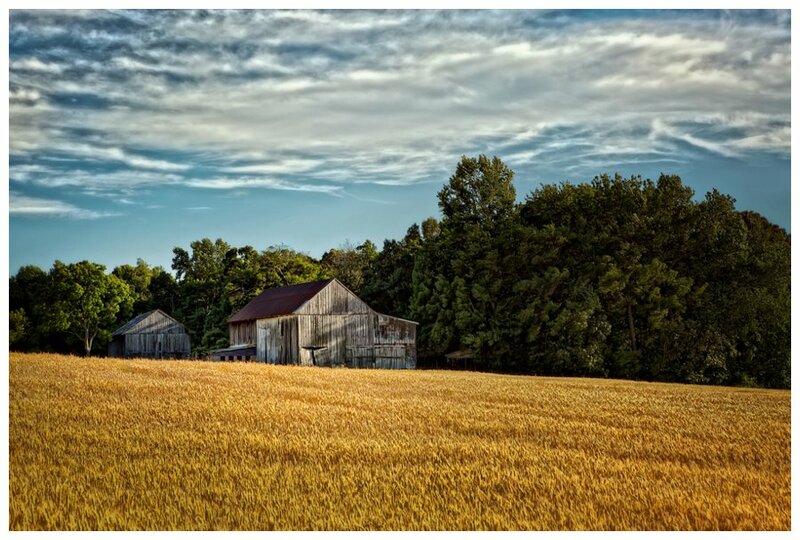 Another barn in a glistening field of wheat on Barstow Rd, just like yesterday but it was today! Looks pretty much the same. 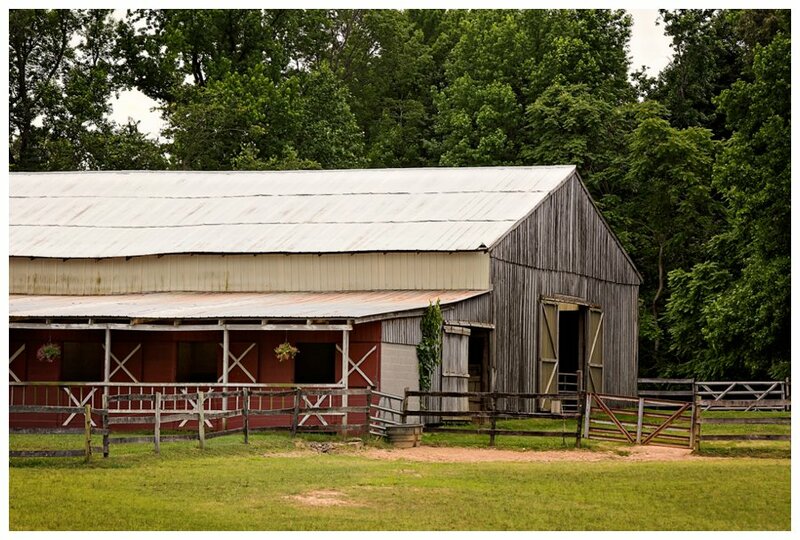 I tend to shoot the same areas a few times in a row because the barns are in recent memory. There are so many good ones in this area, I have it well covered! 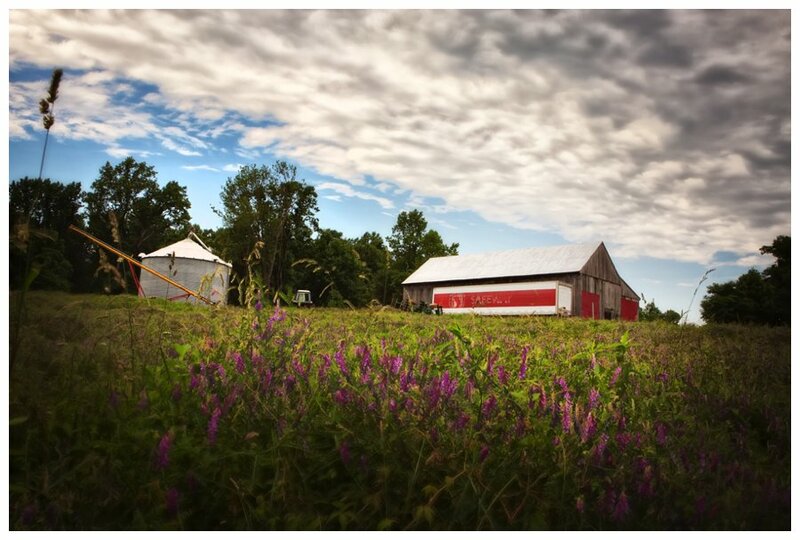 All this time, I thought I’d shoot a flag barn on Flag Day. I did actually shoot one but it wasn’t the best photo so I thought I’d go back later and try again. 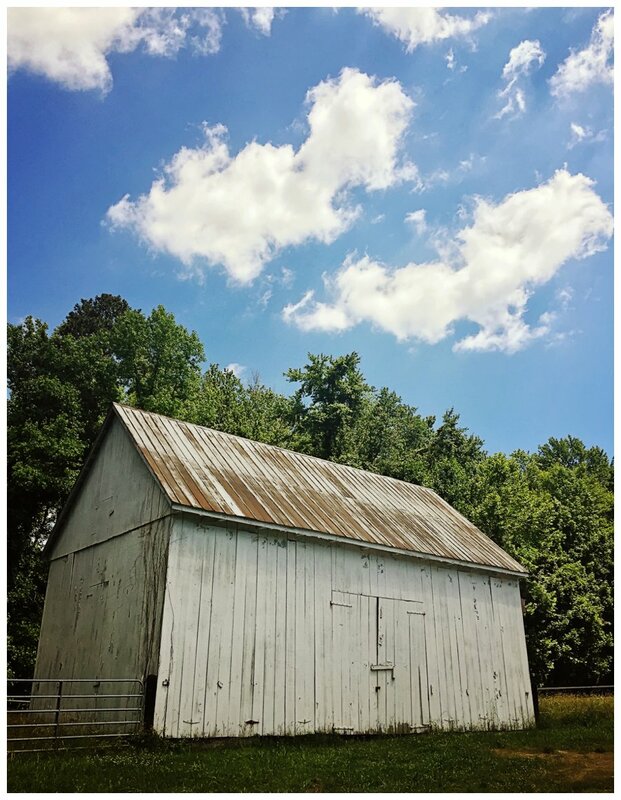 This white barn has been on my to-do list but it has never looked that interesting when I’ve driven by, until today, my birthday, when these two heart clouds appeared while I was out running. And just like that, I wasn’t as concerned about the flag barn, after all. 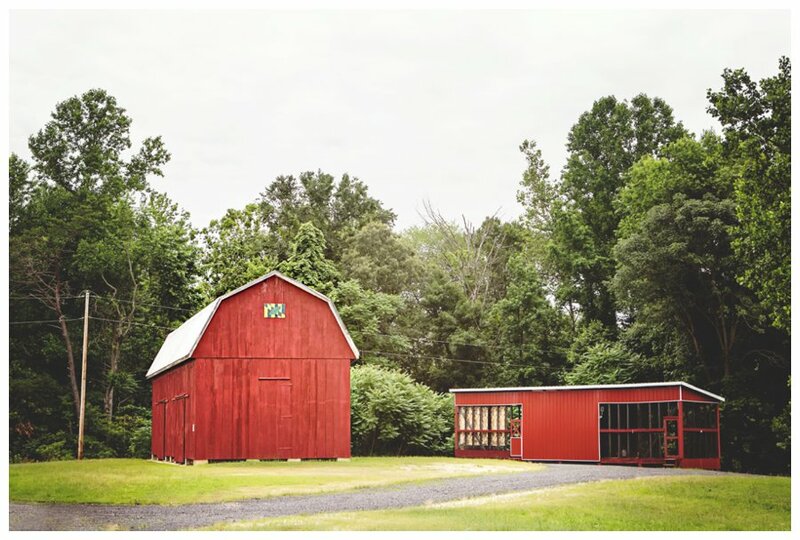 This is just one section of this cute barn that has stables and an indoor rink built with the horse lover in mind. 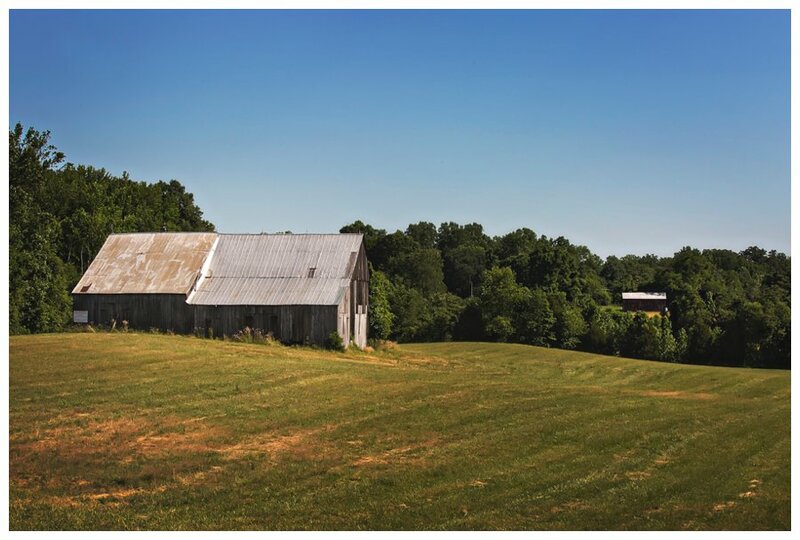 The whole farm is for also sale, so if you have ~$899K, it can be yours! Two out of three, that are right next to each other in someone’s backyard. I’m curious to learn if any of them have been moved, they’re so close together it just seems odd. In other news, I really liked this as a black and white image but I had more votes for this color version. Sometimes you are just in the right place, at the right time. 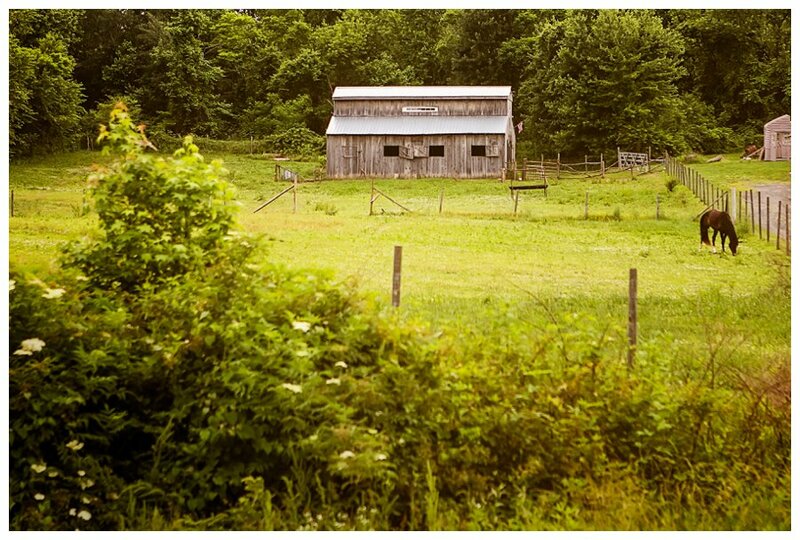 Like last night when I went back to a familiar road, to see if there were any barns left that I have not shot before. I shot a couple others and ended up finding this one last. Someone told me about another barn that has this “naturally occurring phenomenon” before but it was pretty cool to find a different one on my own, it was meant to be. 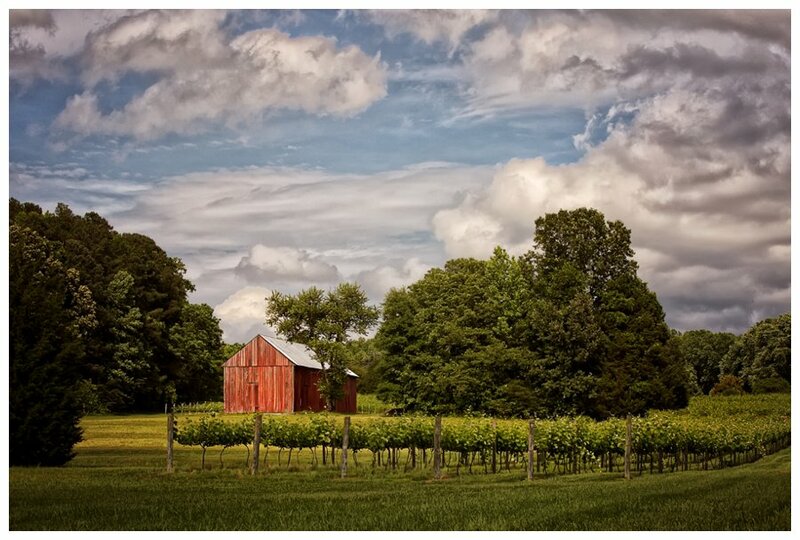 A huge part of why I make these trips down these country roads, is for spiritual and soul-searching purposes. I call nature my church, often, that is where I feel the most at home and my deepest connections. I’m glad I unexpectedly found this one that ties those things together. 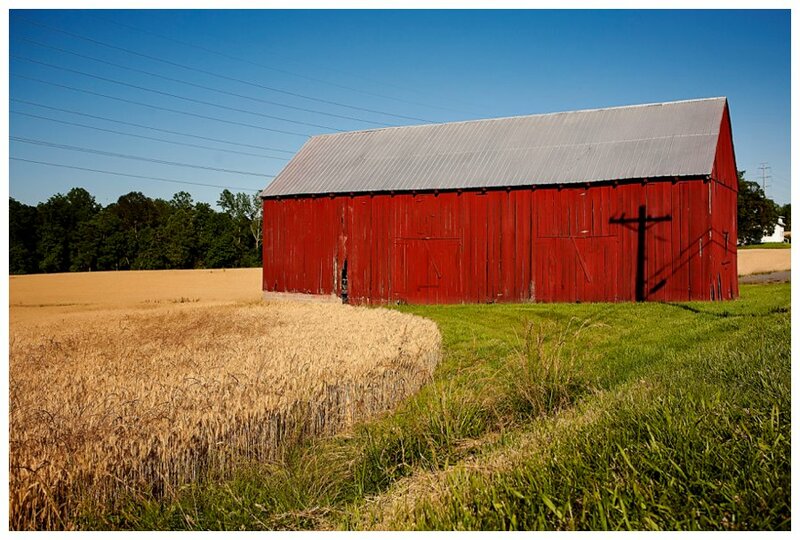 Ahhh, another milestone – the last barn that I have to photograph on my way to a wedding! That was always hard on me and stressed me out a little bit but I did it! 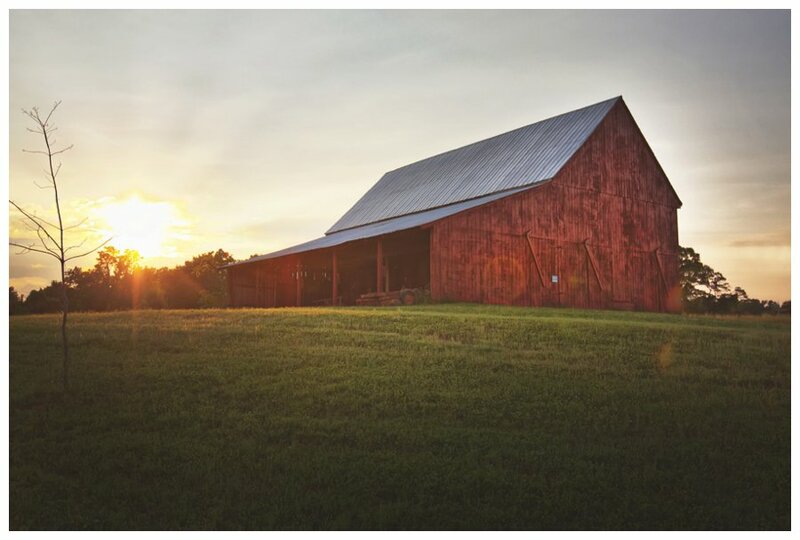 On this first day of summer I had time and a beautiful evening on my side, which allowed me to make a trip back to this gorgeous spot where this very old barn sits, right along the road near the Patuxent River. This barn was built in the Civil War era and it is one of the last remaining ‘bonnet’ barns, dating from that time. It’s in pretty good shape for being ~150 years old, so freakin’ cool! In between storms I went back to this barn, that I just found yesterday. It was the perfect fit for today, with its USA flag painted on the side and the early sunset behind this abandoned property. When I drove around the corner, I almost thought the pastel colors in the sky had formed into rainbow, in which case I would have really freaked. I was loving tonight’s sky! On a quiet residential court, Jon says “there isn’t going to be anything back here” but I said “keep going”, I’ve learned that’s often not the case. 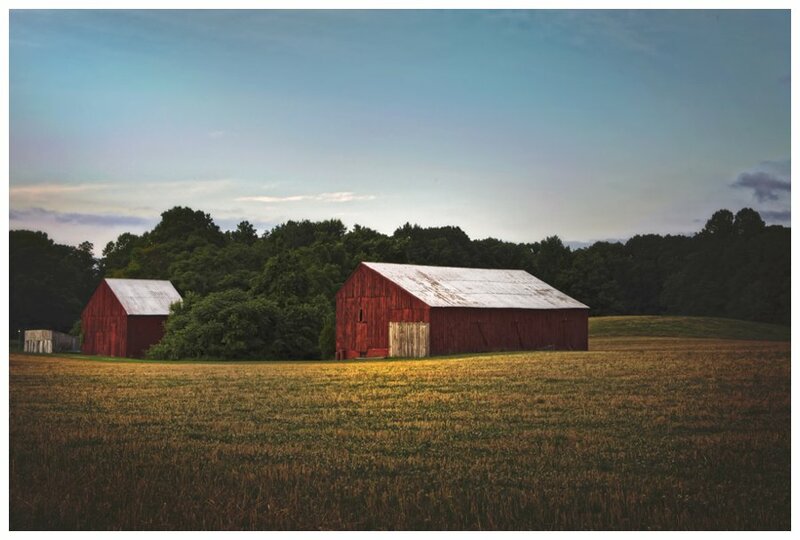 There are barns everywhere, every type and serving every purpose and even with only eight days left to go, I’m still finding new ones. I have a list of barns that I plan on shooting in these final days but I still have a few days to fill with whatever ones I want. Then I remembered I had not gotten back to shoot this one. It definitely needed to make the cut, with its Calvert County flag on top, it fits perfectly. 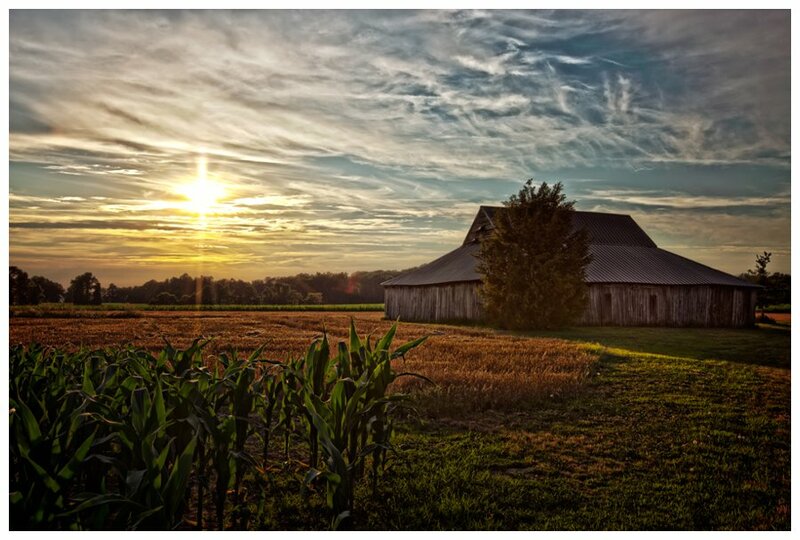 Friday night – just another beautiful set of barns, in a beautiful place. 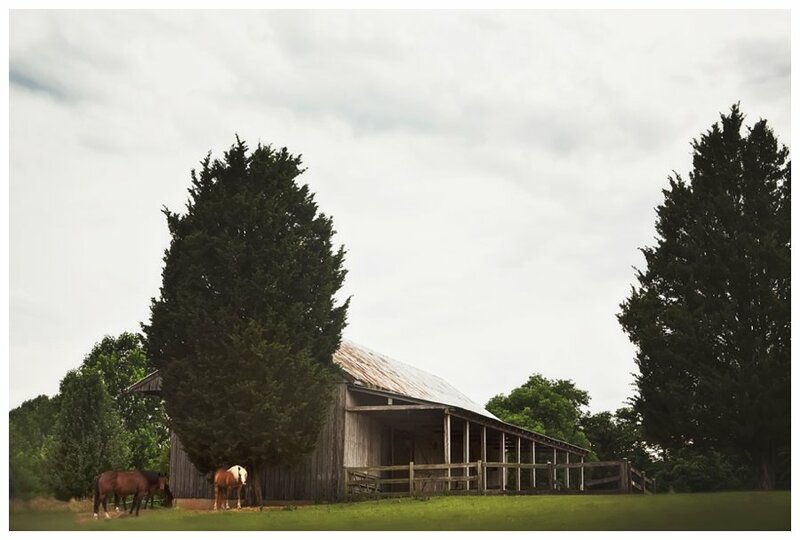 Last one on Chaneyville, for the project and a working farm scene, which I like. 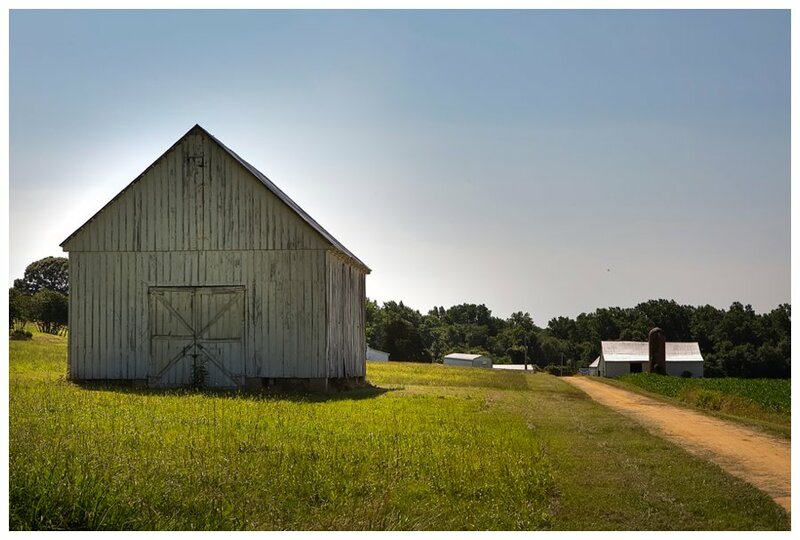 I have this road pretty well documented, with its many prominent and easy to access barns. There are so many to choose from on this road, I wish I could shoot them all! One for today. 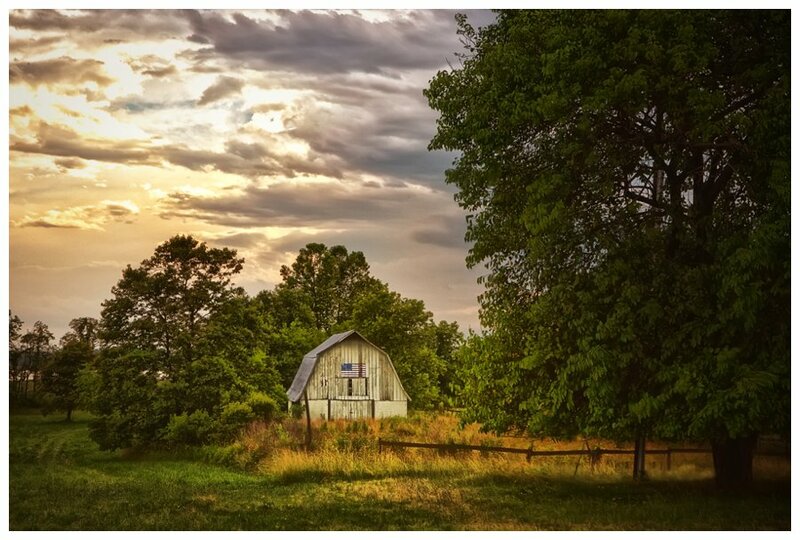 Tick, tock….only three days left… these barns were not on my must-have list but this road is beautiful and I was already in the area. The front one is painted white and there is an old silo on the one in the back, which is not very common from what I’ve seen. I liked that they were both a bit different. I’m so glad the day worked out like it did and I waited until right before sunset to head out to shoot. This road and these barns are new to me, so I was happy to find them along with these epic clouds, in this pre-thunderstorm scene! I loved watching it roll in. 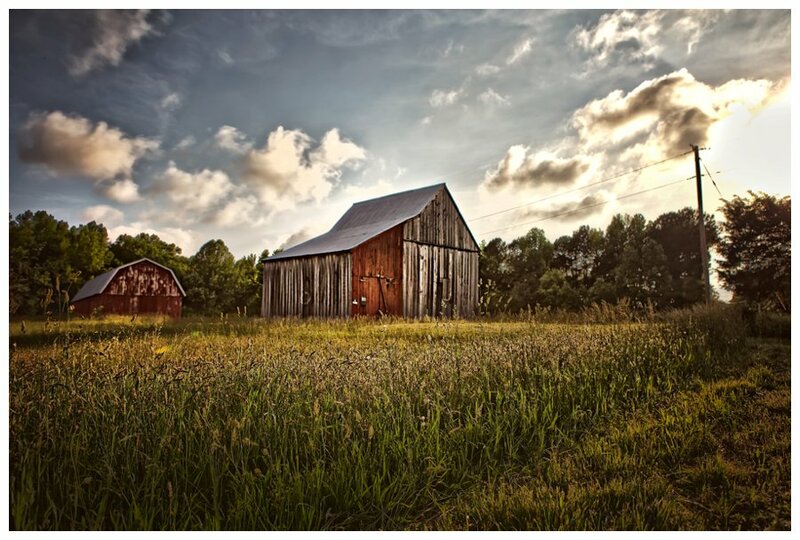 So close to the end and it has become difficult to decide which barns to shoot! 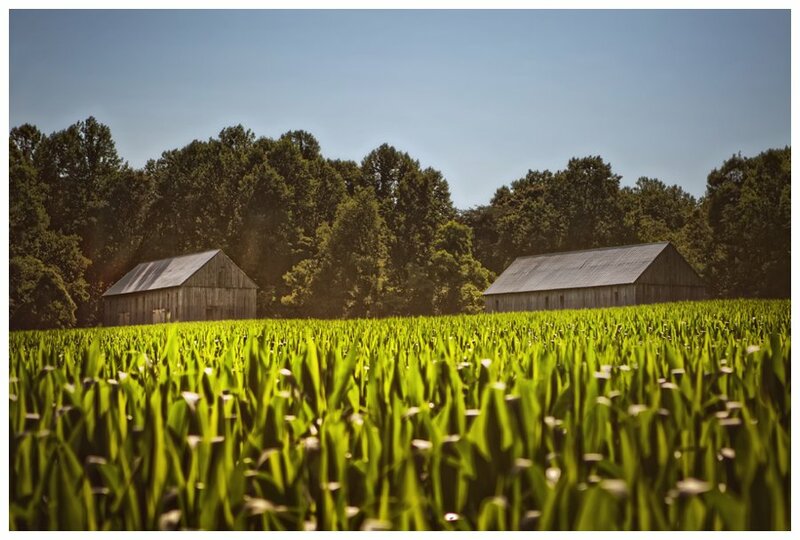 There are still so many great ones left but I happened to be in this area and I really liked the beautiful morning view of these two on the hill, through the tall corn (shot with help from my step ladder). It tells a story of the summer season. I had never been this far down this road before and I always like when I find new ones. So, second to last day of daily shooting has come to pass, on to the last! 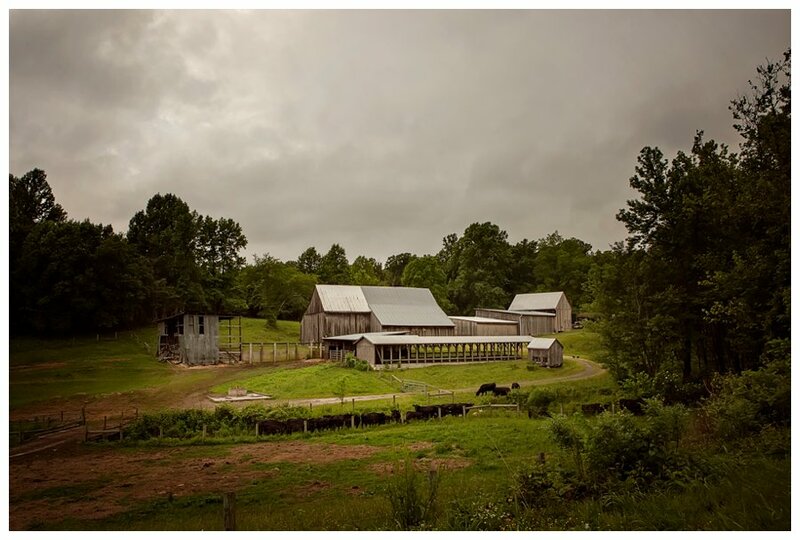 This will likely end up being long, which is why I really need a book instead of social media posts but I must reflect back a little bit on all these barns and this project, on this very last day! Towards the end, I really had to focus and I made a list of the ones that I wanted to include, some of which I got to and some I did not. But the bigger question to me was: which barn would end it all? I knew of several that were unique, beautiful or that had a nice view behind them but they weren’t that special to me… except one, this one, which sits along the highway not too far from a few others, behind Trott’s Produce Stand. It did not take me long to decide this had to be the one, since right next to here is where this project all began on July 1st, 2015. On that day I stood in the produce stand parking lot and snapped a not-so-great shot of a few barns on my iPhone. I remember saying to myself that I was going to do this and on July 1st, I did it and I did not stop until today, 366 days later. My project has officially come full circle, it ended where it began. I will never truly remember how the idea started but I can remember what drove me to begin on that day, which now seems so long ago. I can remember the little bit of excitement I felt each time, especially when I found a new one or got a killer shot. 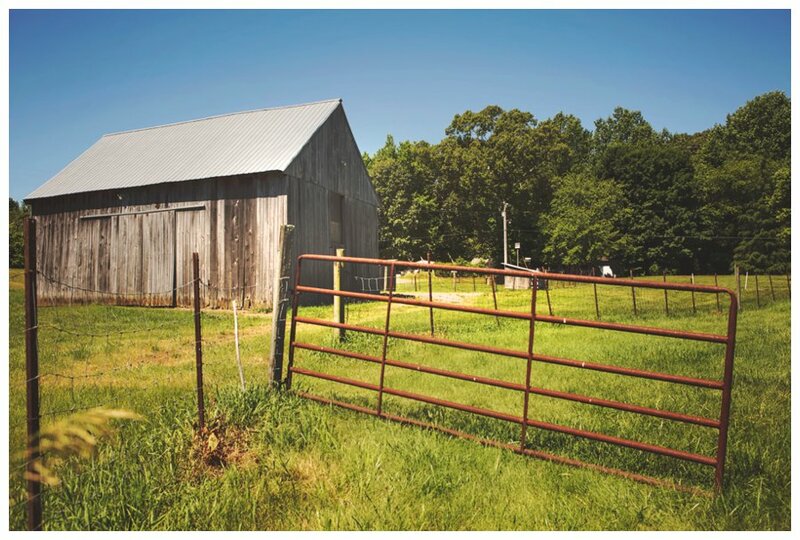 I will remember roaming around Calvert County, aimlessly or very purposefully looking for new barns and planning my day so I could achieve what I set out to do. I could go on and on about the why, the how and the benefits of it but I will save that for another day or maybe even a book or something… One thing I do know is: you do not have to travel far to have an adventure – you can have one in your own backyard or in my case, your own county. Thank you, Calvert County, for letting me wander all your beautiful country roads. I think you are beautiful! Thank you for letting me get to know you, appreciate you and for often taking my breath away, I’ll never forget it!